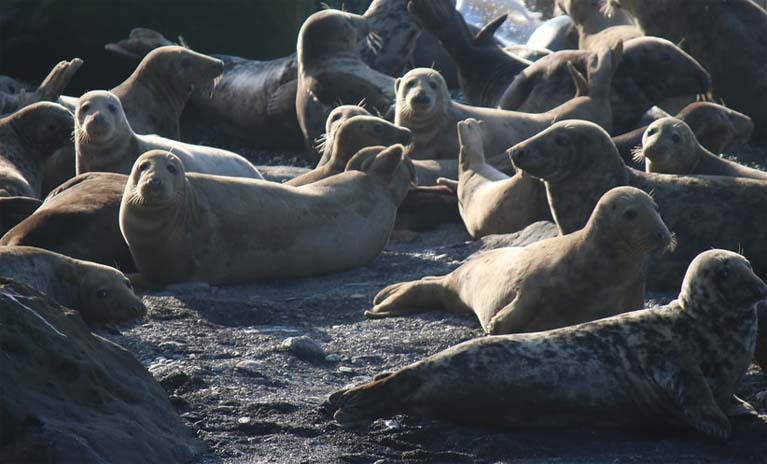 The rich feeding offered by the North Sea around Whitby attracts a wide array of marine birds and mammals. As we are at sea every day (weather permitting), we have been lucky enough to gain incredible insight and knowledge into the behaviour of these amazing creatures. 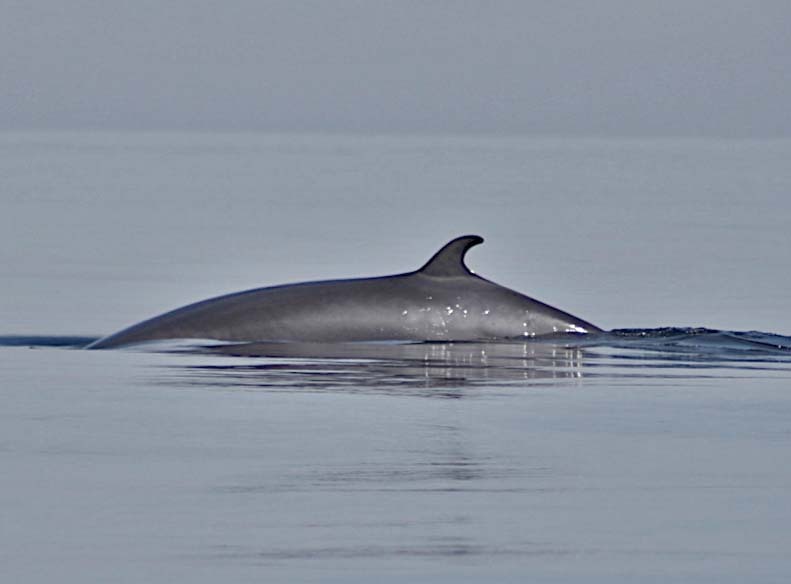 We see minke whales following the herring shoals from June onwards and these sightings are often within 2 miles of Whitby. They often travel in small groups are an amazing sight - especially when they 'investigate' our boat up close. In addition, porpoise are spotted all year round and often very close to shore while pods of dolphins are a hugely welcome yearly occurrence and easily spotted. In recent years some exceptionally large pods of dolphins have gathered around Whitby and Sandsend, perhaps attracted by mackerel, salmon and sea trout. 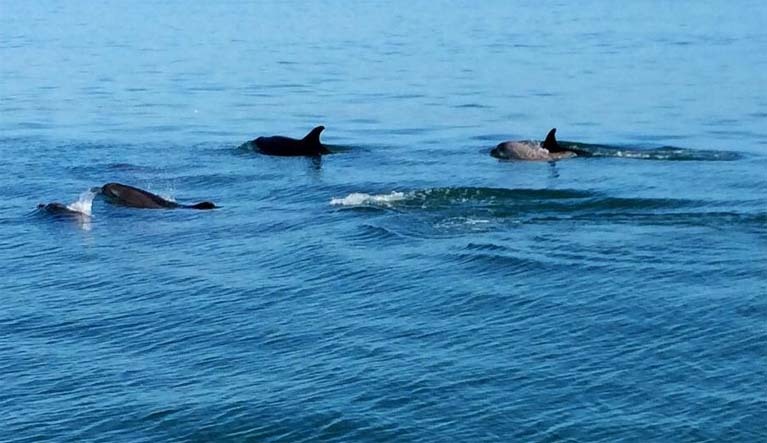 Pods of 20-40 dolphins thrilled tourists and locals alike in both 2015 and 2016. The most common marine mammal around Whitby are seals. Large colonies to the South with smaller ones dotted right up the coast, mean they are constantly attracted to the area..and often follow the anglers for an easy meal! We can accurately predict where they will be located at any one time and they are probably the one marine mammal you can guarantee seeing every trip. Our wildlife watching trips are very flexible to your timings and requirements with very early mornings and evenings catered for (often the best times). As long as we aren't already booked then we will see what we can do for you and research local sightings via our contacts in the local seagoing community.